With popular sites like Centennial Park and the Country Music Hall of Fame, the roads in Nashville, TN are often packed. Unfortunately, this can result in accidents. Over the past decade, Davidson County alone saw around 10,000 casualties related to auto collisions. 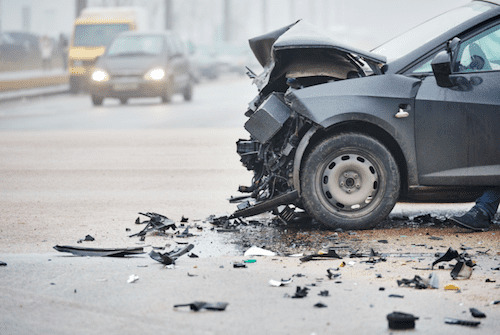 These are common incidents, but if you were involved in a collision and fled the scene, you could face serious repercussions. Tennessee law is very clear on leaving the scene of an accident. If you’re involved in a collision, you are required to stop at the scene or as close to the scene as possible. If you can’t immediately stop, you must return to the scene of the accident and remain there until certain criteria have been met. It’s not always necessary that you wait for police to arrive, but it may be in some circumstances. If everyone involved agrees that no injuries were sustained and only property damage occurred, it’s okay to leave the scene after you provide your name, address and the registration number of the vehicle you’re driving. If injuries did occur, you’re required to render assistance to the injured individual, and you must contact authorities to get that person to the hospital. If an individual says they need assistance, this is required even if you think they may be unharmed. The penalties you could face for fleeing the scene of an accident will vary greatly depending on the severity of the collision. In all cases, your license could be revoked. If only property damage occurred, you could face 30 days in jail, be forced to take a driver education course and be handed a fine. If over $400 worth of damage occurred, your license must be suspended. If injury occurred in an accident, you could also be charged with vehicular assault. This could result in a minimum sentence of five months in jail in some cases. If someone dies, you’ll likely face vehicular homicide or aggravated vehicular homicide charges. In the best case scenario, you’ll face between one and six years in prison. In a situation where death occurs, all sentences must be served back to back rather than concurrently, meaning you could serve well over six years in prison. Being involved in an accident is a traumatizing event, and in the moment, most of us aren’t thinking straight. If you were involved in an auto accident and fled the scene, you still have rights. Contact the Law Office of Bernie McEvoy today at (615) 255-9595 so we can get started on helping you through this difficult time.